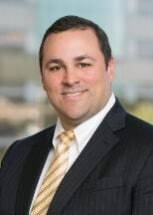 Mr. Mayronne joined the firm in 2013. Mr. Mayronne's practice areas include commercial, construction, and insurance litigation for both Plaintiffs and Defendants. Mr. Mayronne was born and raised in Louisiana, but has been living in the Houston area since 2003 and currently resides in Kingwood with his wife and three children. Mr. Mayronne enjoys mountain biking, brewing beer, reading, and spending time with his family.